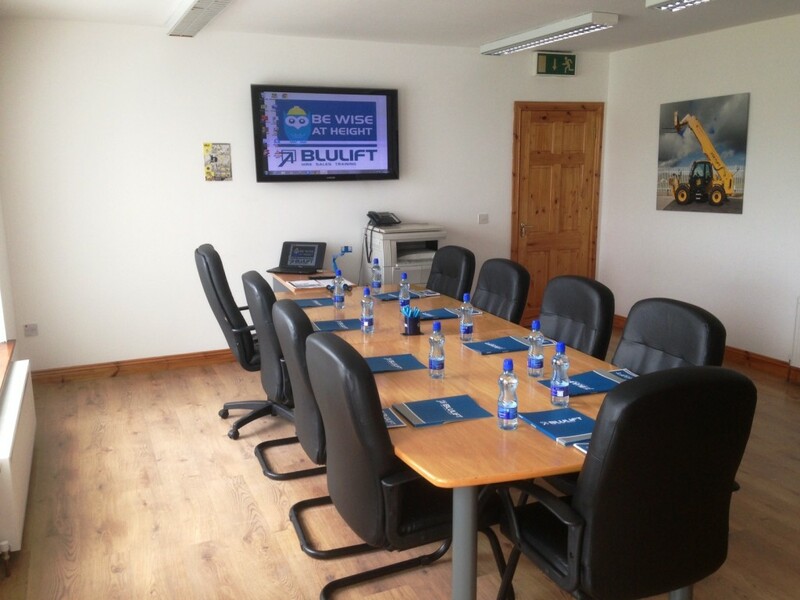 Blulift’s industry experts deliver health & safety training for all makes and models of Mobile Elevated Work Platforms (MEWPs) for companies and individuals looking to achieve powered access equipment usage accreditation. Our accredited IPAF approved trainers have FETAC Level 6 qualifications and provide training courses to IPAF standards (International Powered Access Federation). Training in the use of work equipment is required by most health and safety legislation and work at height regulations. Employers are obliged to train their employees. Our training programme was developed by leading industry professionals and delivered to conform to all legislative standards. Our industry professionals can also tailor courses to suit specific customer needs upon request. We also have a top of the range, dedicated training facility which is available to hire upon request. It is ideal for training, corporate meetings, presentations or conferences. We also carry out training on sites nationwide with adequate training facilities.